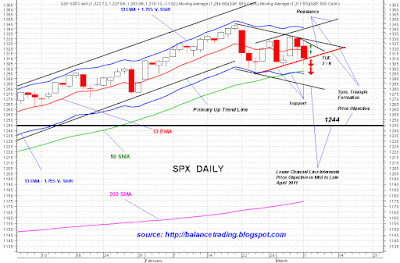 A close below symmetrical triangle price formation (below 1310) signals more selling for SPX in the near future. SPX is set now to test its 50 D-SMA. 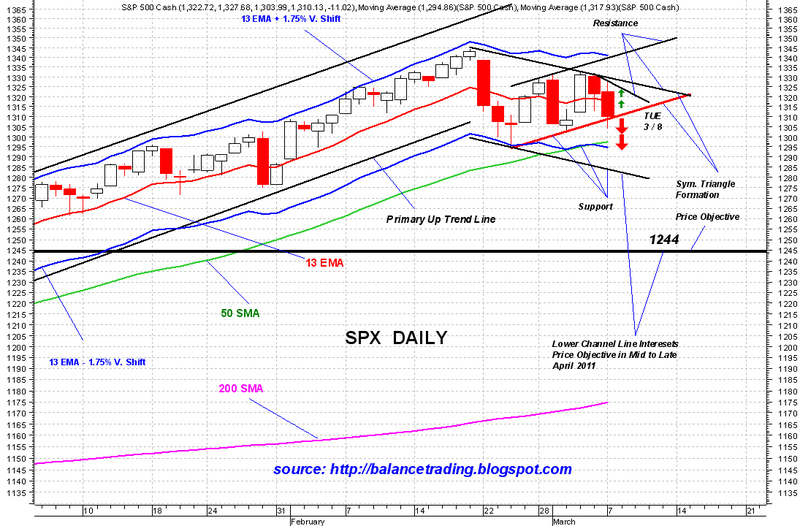 If that support fails, my analysis predicts SPX at mid 1240's by mid to late April.